The theme of the Spring 2019 edition is “Awakening.” Produced by Editor-in-Chief Adina Samuels; designed by Chen Shang. The theme of the Winter 2019 edition is “(un)familiar.” Produced by Editor-in-Chief Adina Samuels; designed by Chen Shang. The theme of the Spring 2018 edition is “Generation.” Produced by Editor-in-Chief Jack Denton; designed by Mubashir Baweja. The theme of the Winter 2018 edition is “across.” Produced by Editor-in-Chief Jack Denton; designed by Mubashir Baweja. The theme of the Spring 2017 edition is “Home,” with a specific prompt of “Beginning a Household.” Produced by Editor-in-Chief Albert Hoang; designed by Kate McDermott. The theme of the Winter 2017 edition is “Home,” with a specific prompt of “Towards a Structure.” Produced by Editor-in-Chief Albert Hoang; designed by Simon Sutcliffe. 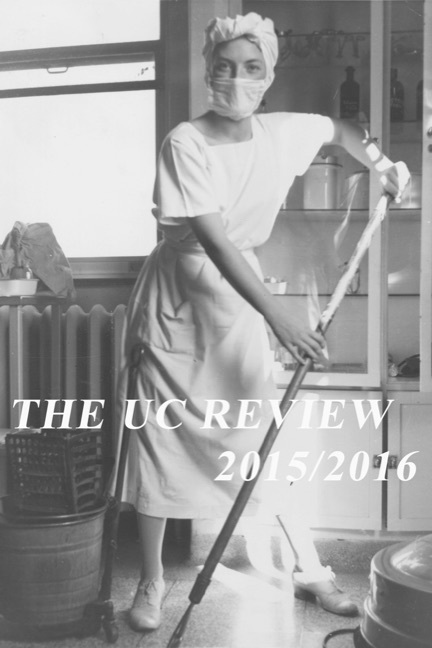 The 2015/2016 edition marked the revitalization of the literary journal after an extended hiatus. Produced by Editor-in-Chief Melissa Vincent; designed by Kate McDermott. The 1996/1997 edition was produced by Editor Kathryn McBride.